The biggest advantage that ELSS funds have over other tax-saving investment options is their short lock-in period. Also, ELSS funds are majorly equity-oriented and deliver better returns in the long run. ELSS (equity-linked savings schemes) have caught up with other modes of investment over the past few years. However, their growing popularity has led to a ton of misinformation being available on the internet. This article is intended to educate potential investors about the advantages and disadvantages of investing in ELSS funds in 2018. The major advantage that ELSS funds have over other tax-saving investment options is their short lock-in period of three years as compared to alternatives like the National Pension Scheme (NPS), which has an effective lock-in period of 18-20 years. Moreover, ELSS funds are majorly equity-oriented and deliver better returns in the long-run. Here are a few advantages and disadvantages of investing in ELSS funds. ELSS funds are among the most tax-efficient investments. The amount invested in an ELSS fund can be claimed as a deduction u/S 80C to an upper limit of Rs1.5 lakh. These are probably the only mutual funds that allow you to save tax while providing higher returns through equity in the long-run. 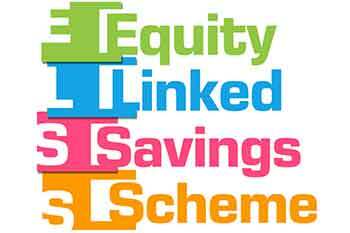 ELSS funds have a lock-in period of at least three years. Therefore, returns from an ELSS investment will be treated as LTCG (long-term capital gains). However, unlike STCG (short-term capital gains), which are taxed at 15%, LTCG above Rs1 lakh is charged at 10%. Therefore, ELSS funds automatically attract lower tax. Most alternatives to ELSS have a lock-in of at least 5 years. In sharp contrast are other tax-saving options such as PPF (Public Provident Fund), with a lock-in of 15 years; NPS (National Pension Scheme), with a lock-in extending till retirement, etc. Therefore, ELSS funds provided maximum tax-saving benefits with the shortest lock-in period while offering the highest returns. Being an equity investment, ELSS funds will deliver good returns in the long run. Investing discipline is key to making good returns, and the three-year lock-in period takes care of this. In the long-run, the investor will benefit from the power of compounding, which will give him/her visibly higher yields in the later years. SIP (Systematic Investment Plan) is the best way to instill investor discipline. ELSS funds offer the best combination of a long-term horizon and the option to invest through SIP. Learn how to invest, take advantage of the power of compounding, and save tax. Section 80C allows a deduction of up to Rs1.5 lakh for investments made in specific avenues. This Rs1.5 lakh limit is inclusive of all other investments of the taxpayer. Therefore, if the taxpayer has already reached their limit u/s 80C, they cannot avail tax benefits on ELSS funds. The biggest turn-off for most investors is the fact that deductions u/s 80C are limited to a total of Rs1.5 lakh. Even if you’ve invested Rs5 lakh in an ELSS fund, you cannot claim the full amount under tax benefits. A lot of investors find this ridiculous. ELSS funds are a good, tax-saving choice for investors who want to earn higher returns through equity exposure. Though the returns are good, the tax-saving benefits are limited only up to Rs1.5 lakh. Therefore, it wouldn’t make sense to invest in ELSS funds if you’re already nearing the 80C limit. In other words, it doesn’t make sense to invest only for the purpose of saving tax. However, ELSS funds do offer a decent return on investment, which many investors consider lucrative.